South Korea: Fighter Jet Crashes on Mountain - Integration Through Media ....! 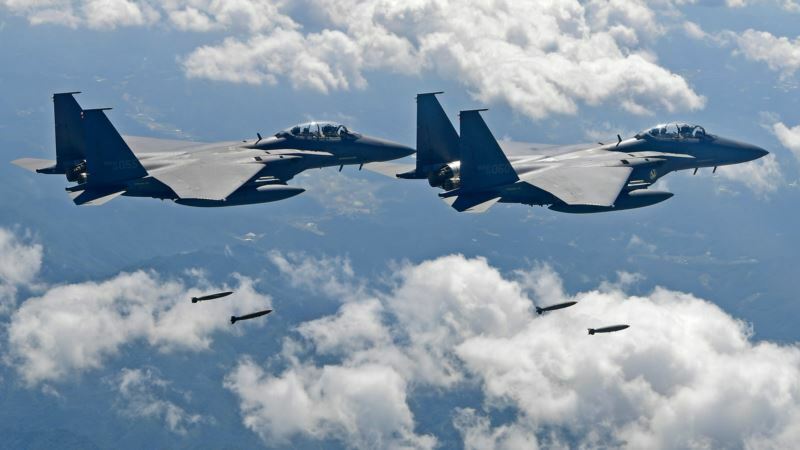 (VOA): South Korea’s air force said one of its F-15K fighter jets crashed Thursday at a mountain in the country’s rural south. It isn’t immediately clear what caused the crash or whether both pilots safely ejected. The air force said crews are searching for the pilots who were flying back to their base in the city of Daegu after an unspecified mission. An official from the Chilgok Fire Department said dozens of firefighters and rescuers were approaching the site deep into the mountain by foot and weren’t in sight of the aircraft yet. He didn’t want to be named, citing office rules. An employee at a nearby golf club said he heard what seemed to be a succession of explosions that also left the club’s building shaking. The employee also didn’t want to be named, saying he wasn’t authorized to speak to reporters. The air force said no civilian injury or property damage had been reported yet.